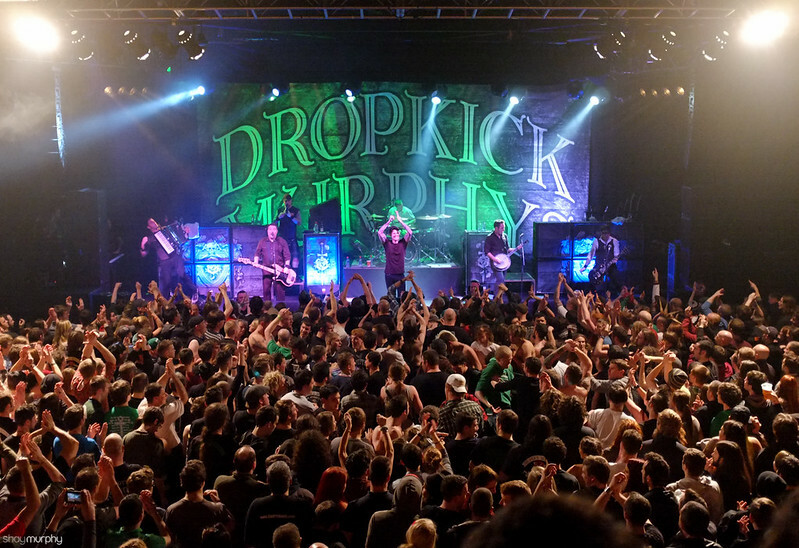 The Dropkick Murphys are an American Celtic punk band formed in Quincy, Massachusetts in 1996. 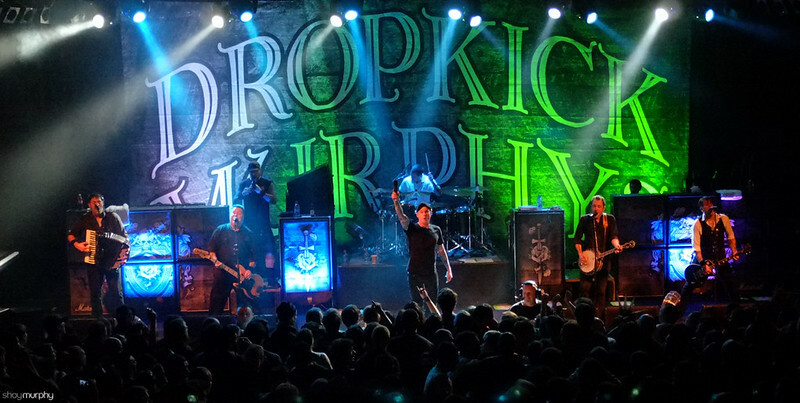 The band was initially signed to independent punk record label Hellcat Records, releasing five albums for the label, and making a name for themselves locally through constant touring and yearly St. Patrick’s Day week shows, held in and around Boston. The 2004 single “Tessie” became the band’s first mainstream hit and one of their biggest charting singles to date. The band’s final Hellcat release, 2005’s The Warrior’s Code, included the song “I’m Shipping Up to Boston”; the song was featured in the 2006 Academy Award-winning movie The Departed, and went on to become the band’s only Platinum-selling single to date, and remains one of their best-known songs. 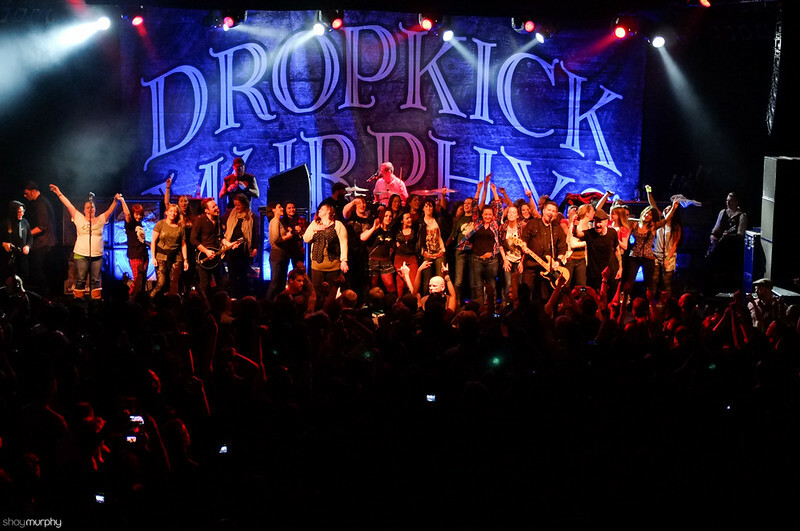 The band is known for their loud, energetic live shows. In 2007, the band began releasing music through their own imprint label, Born & Bred via Alternative Distribution Alliance. 2007’s The Meanest of Times made its debut at No. 20 on the Billboard charts and featured the successful single, “The State of Massachusetts”, while 2011’s Going Out in Style was an even bigger success, making its debut at No. 6, giving the band their highest-charting album to date. The band’s eighth studio album, Signed and Sealed in Blood was released in 2013 making its debut at No. 9 on the Billboard charts.